Whenever I type the words ‘The End’, I sit back and wait for my adoring audience to read what is destined to be the next great American novel. There’s not the least bit of doubt in my mind that the accolades will begin rolling in the moment it is read by everyone across the world. While saying this with my tongue in cheek it certainly has a little truth hidden in there somewhere. Doesn’t every writer love receiving those glowing five star reviews? I know I do. Each review that goes into detail about just how much the reader loved my story has a way of boosting my ego like nothing else can, and it lets me know that all of those hours pounding on a keyboard wasn’t wasted. As Sally Field once said, “They love me. They really, really love me.” I think that’s what she said anyway. Don’t hang me out to dry if those weren’t her exact words. You get my point. I say all of that to bring up the dreaded subject of those one and two star reviews. If the five and four reviews boost our egos does that mean we have to be destroyed by each and every one that doesn’t tell us what a wonderful writer we are? What do we do with the reviews that go into gory detail of just how much they disapprove of our writing style? If you’re waiting for me to reveal some profound revelation on this subject, then you’re going to be sorely disappointed. 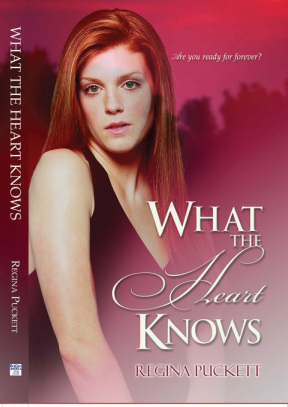 The truth is I still don’t know, but I’ll tell you how I have learned to live with them over the course of my writing career. You’re wrong if you guessed that I hunt the reviewers down and secretly bury them in their backyards. It’s true I write horror stories but I swear I have never actually killed anyone. Yet. Over the years I have tried to read every review and try to stay objective about them. The truth is not everyone loves me or my writing. I know. That fact surprises me too. I have received some criticism lately for my sentence structure. My answer to that is to get over it. It’s how my mind works. Not everyone’s mind sorts out words or thoughts in the same way. If you don’t like my sentence structure in one story or book you’re not going to like it in the next one either. I can’t change how my mind works, but I can try to read each and every story to make certain everyone is able to understand the story I’m trying to tell. I hope I never let anyone down in that regard. I promise to always read each review with an open mind. It may take me a few hours of ranting and raving before I’m finally able to step away from the hurt to dive back in to see what the reader is trying to tell me I did wrong from their point of view. Did I hurry the ending? If I did then that is something I should be aware of and try to not do in the future. It’s easy to get excited by how good I think the story is going and forget that not everyone sees it as clearly as I do. I won’t bore you with each and every criticism but I’ll tell you the bottom line of how I see good and bad reviews. The good ones let me know I did something right and the bad ones let me know I still have things I need to work on as a writer. I’m a work in progress. I hope I never stop growing and I look forward to hearing from everyone even if you don’t love my writing. Tell me and I’ll try to fix it. There are some things you may hate about my stories that I love about them, so don’t hate me if I decide not to take your advice. None of us see the world in the exact same way. Wouldn’t it be a boring place if we did? Go ahead and tell me what you think about my stories and books. I promise to take everyone’s thoughts into account. If I can fix what I’m doing wrong I will. If you love my stories, I’m so happy I was able to share that part of myself with you. If you hate them, I promise to listen to what it is you hate about them. I’m a work in progress. I promise to always do my best as a storyteller. 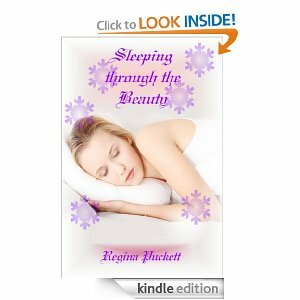 My latest release is Sleeping through the Beauty. It is my spin on the fairy tale Sleeping Beauty. Check out Regina's website HERE. Great post, Regina. Definitely some things I'll remember. Thanks, Ben. I'm sure you'll never see those 1 and 2 stars so no worries. Thanks, Charles. Bad reviews sting like crazy but they aren't the end of the world. They are actually helpful in their own way. Don't get me wrong. I certainly don't want everyone to write me a bad review to try and help me out. Great post. If all writers can step back,lick their wounds,and then try to really understand what their audience is saying...when the review is less than a Pulitzer nod...then the writing just gets better. It's a win for everyone. Reviews bring better quality and/or sales, writers are financially able to write more and are properly motivated either through constructive criticism or praise, and the cycle continues. Who wouldn't want to read more of their favorite author and see their stuff get even better than their last book? Bad reviews are helpful. I can remember a rejection letter I received years ago from an editor. She pointed out the flaws in my novel. Instead of seeing what a wonderful gift she was trying to give me all I saw was her rejection of a book I had spent months writing. It took 5 years before I realized how stupid I was for not taking her much needed advice. I guess I'm a slow learner.